With Origin over and the season two thirds finished, it is high time I pumped out another Trimester Report. I’m covering this one in 2 parts. Part 1 will cover the bottom feeders and Part 2 will cover the top 8. As always, teams are in reverse skating direction. To say the Knights season has taken a calamitous turn would be an understatement. After a bright start they have only won once in the last 12 games to be sitting dead last on the ladder. Injuries have been partly to blame with key players like Jarrod Mullen and Tyrone Roberts unavailable for large portions of the Second Trimester but they are playing with a lack of confidence and leaking a lot of points as well. Form has eluded them. Dane Gagai – Even though the Knights have been leaking a lot of points they have been staying close in most games due to their strike power. The halves have been in and out through injury but Gagai and Akuila Uate have been deadly out wide. Gagai was rewarded with a Queensland State of Origin jersey. The first of many no doubt. The Knights are already planning for next season. They are still a mathematical possibility (because the competition is so even) but in reality they are playing for pride and Rick Stone’s job (probably). Just can’t see them digging themselves out of this hole. They have found a couple of useful players so the season isn’t a total write off. Joseph Tapine is a talent, as is Danny Levi. Now that they are getting a few players back I expect they will cause the odd upset or two in the run in to the finals. But that is the sum total of what we should expect from them. The Tiger’s Second Trimester pretty much did in their premiership plans for 2015 with a depressing 1-7 run. They were competitive but not competitive enough. Their only win was a complete display which blasted Souths off the field on the back of some very memorable Martin Taupau charges including one where he stiff armed Alex Johnston into 2017. The rest has been a long series of competitive disappointments. With the talent at the disposal of this team, even without Robbie Farah and Aaron Woods for Origin and the odd injury, Wests have underperformed. Aaron Woods – Still leading the way for the Tigers with Martin Taupau’s explosions ably supplementing his impact. The Tigers missed Woods almost as much as Robbie Farah during Origin. Probably have a better shot at making the 8 than the Knights but chances are extremely slim. They are a long way off the pace now. It would take a torrid run of form for them to slip into the 8 (Tigers circa 2005 or Eels circa 2009 would do the trick). Still one of the top teams in terms of potential so not building on last season comes as a bit of a disappointment. Will do Jason Taylor’s tenure a world of good by playing competitively for the rest of the season and at least finishing on a high note. I did a run down of all the calamities besetting the Titans during the First Trimester Report and things have continued to trend downwards since then. DCE finally jilted the Titans and Greg Bird was suspended for a 100 years. Probably the biggest issue was injuries to most of their spine with Kane Elgey and Aidan Sezer the biggest losses. Results reflected these losses with only 2 wins during the Second Trimester although they have largely been competitive apart from floggings against Canberra and Manly. Crowds have been pretty ordinary too. Aidan Sezer – Sezer is a big loss for the Titans next season, especially in light of the DCE snubbing. He formed a very useful combination with Kane Elgey, often playing as first receiver with Elgey playing the classical five-eight position floating a little wider. The downturn in the Titans fortunes coincided with both Sezer and Elgey going down for extended periods. Given they are only 2 wins out of the 8 with 8 games to go they are definitely a mathematical chance (BTW is there another way of saying ‘mathematical chance’ because this is getting boring) of sneaking into the 8 but realistically can’t see them doing it. James Roberts has been a revelation in the outside backs and Nene McDonald an astute mid-season pickup (really can’t see why the Roosters released him – hopefully that doesn’t come back to bite the Titans) and Bird is also due back this week with Elgey close behind. Even with those guys coming back I can’t see them leaping 6 teams into 8th place. It has taken a long, long time (longer than I expected) but signs of life are finally appearing from Brookvale. 4 wins from 8 games is not a bad return given the amount of injuries and contract distractions that beset the Eags. They are even paying $4 to make the 8. More than anything it is looking like a lack of depth that is killing them this season, although the contract distractions can’t have helped morale. Kieran Foran – It is amazing how your opinion can change over time. I always thought DCE was Batman and Kieran Foran was Robin but seeing the team play with either and both has led me to believe I might have had that the wrong way around. Certainly the uptick in Manly’s form has coincided with the increased availability of Foran. Next year will be the litmus test but let’s just say Manly plays unequivocally better when both are playing. Ditto Brett Stewart. They have a pretty tough run home with 5 out of their remaining 8 games against top 8 teams. I’m not completely ruling them out but I see them just missing the 8. They will play better with only Jamie Buhrer and Clinton Gutherson on the long term injured list. They will certainly be a pain to play. Their form will continue to improve for the balance of the season. They’ve just left too much to do. The 2015 Eels will just as likely win as lose and the Second Trimester has been more of the same. For instance, they lost 3 in a row, won one, lost won and then won three in a row. There is a certain symmetry to their chaos. Included in that mix was a home loss to the Storm but an away win against the same opponent. Go figure. 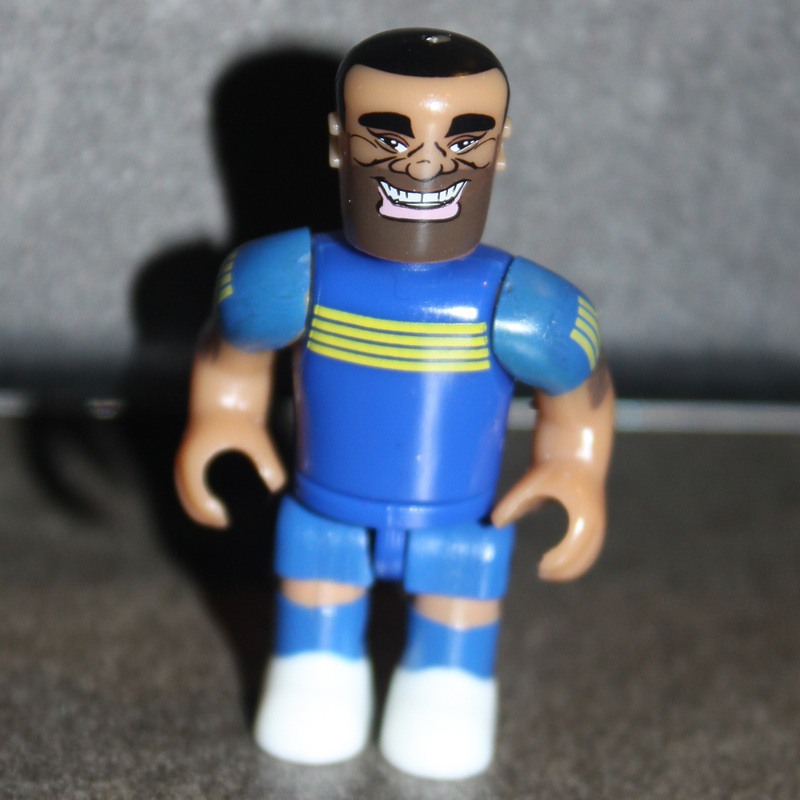 Semi Radradra – I could have given this to Chris Sandow, Nathan Peats or Corey Norman who have all had bright spots but consistency has been an issue for all of them. Not a problem for Semi. He scores. That’s what he does. Still see 11th as their high water mark. They have a raft of long term injuries but none of those are to key players. They just don’t have the consistency this season. Brad Arthur is the right coach and this is a process. Next year they will be better, especially with Kieran Foran. Peat, Foran, Norman and Hopoate 2.0 would be a vastly improved spine. Too many good teams above them this year. Jamie Soward and Peter Wallace have finally returned to action and Bryce Cartwright is starting to cash in on his prodigious talent. Most of all though the Panthers are missing Matt Moylan. They are a good side without him but a great side when he is playing. He makes that backline that much more potent, his playmaking just as much as his strike power. They will be less than happy with their Second Trimester and it has left them just off the pace in a congested fight for the top 8. Only 1 win separates 6th to 12th. Bryce Cartwright – Cartwright is a game changer with his physicality, playmaking and speed and if injuries are kind to him should have a long, long career in the game. He has started to announce his arrival. They don’t have the hardest run home and have lost only Jamal Idris for the rest of the season. The one thing vitiating against them making the 8 is the time it is taking for Matt Moylan’s injury to heal. He isn’t due back until round 24 and by then the Panthers could already be out of the hunt. With the recent poor form of the Storm and Dragons there are 7 teams vying for the last 3 finals places but they will need to play better and more consistently than they are now. They have the talent but do they have the temperament? Probably not. I’m going to have to repeat what I said in my First Trimester Report. When I saw that the Raiders had recruited Blake Austin, Iosia Soliola, Sisa Waqa, Josh Hodgson, Sam Williams and Frank-Paul Nu’uausala to offset the losses of Terry Campese, Matthew Allwood, Tom Learoyd-Lahrs, Sam Mataora, Reece Robinson, Brett White and Anthony Milford I immediately reserved 16th spot for them in my NRL Preview. The Raiders have certainly defied expectations and have the best attacking record in the comp. Blake Austin has been a revelation and Papa Bear (that name appears courtesy of the Triple M call team) has finally emerged from hibernation as well. Now if they could just start defending their line a bit better. Blake Austin – Continues to be involved in all the good things happening for Canberra in attack. He is a fierce competitor. 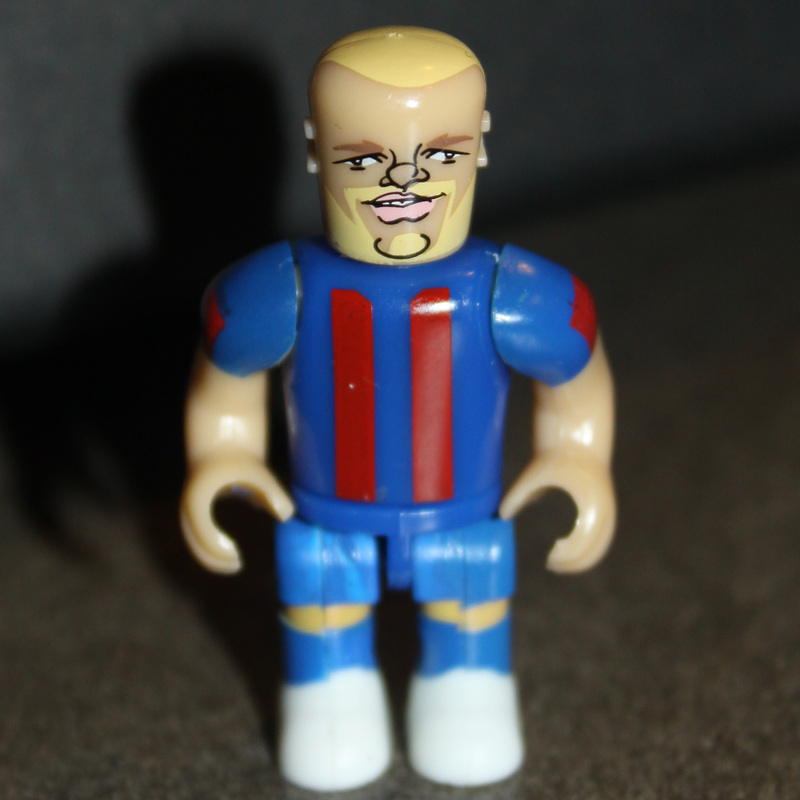 He also has the most interesting facial hair in the NRL. As mentioned above, one of 7 teams competing for the final 3 finals positions. Have a slightly better chance of making the finals than Penrith (reflected in the latest odds as well). Will miss Sam Williams but nearly no major injuries to speak of. See them just missing the 8 though. Have been winning or losing high scoring shootouts which just isn’t sustainable come August and September when defences start to tighten up. It has been a fun ride though. Everything is looking up since ASADA and 5 from 8 largely without Paul Gallen is surprising to say the least. They’ve been very competitive in the Second Trimester apart from a 42-6 flogging from the Dragons, which they squared up with a 28-8 win last round. Given 6th to 9th are on 20 points they are effectively a tie 6th. Didn’t think I’d be saying that when the season started. Andrew Fifita – Fifita would have been disappointed on being dropped for the last 2 Origins but Cronulla were not. He played accordingly and made sure NSW won’t make that mistake again. They have most of their key players back on deck. Gallen, Fifita, Lewis and Graham are providing the punch and Jack Bird, Valentine Holmes and Ben Barba are playing off the back of it. Have a tough run home but that can cut both ways as well. Think they have overachieved so far and will finish the season watching the finals from the sideline. Just can’t see them dislodging the Warriors, Storm, Dragons or Bulldogs from the 8. Stranger things have happened though. PNG winning the gold medal at the Pacific Games for the Rugby League 9s. Nice work. Shaun Johnson – Tries – 1, Run Metres – 173m, Try Assists – 1, Tackle Breaks – 6, Tackles – 19, Offloads – 0, Line Breaks – 2, Line Break Assists – 1, Errors – 2, Penalties Conceded – 0 and Lengths that Nathan Friend had to go to upstage him – Extreme. No trades this week. I’ve only got 4 left so emergencies only. This entry was tagged Australia, New Zealand, New Zealand Warriors, NRL, PNG, Rugby League. Bookmark the permalink.